Unless otherwise agreed in writing by Deesisions “the promotional gift company”, all goods are supplied in accordance with these terms and conditions of business. All orders placed with Deesisions “the promotional gift company” are deemed to be acceptance of these Terms. 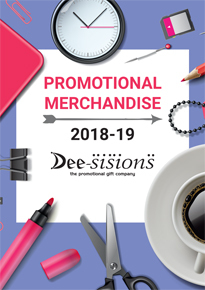 Deesisions “the promotional gift company” means Deesisions “the promotional gift company” and any successor to its business, and as the context allows, any other connected entity that supplies the goods ordered by you. "We" and "Us" means Deesisions “the promotional gift company” either alone or together with you, as the context requires. "Working day" means every day of the year except weekends, and English bank, statutory and public holidays. "You" means the person ordering goods subject to these terms and conditions. 1. We shall not be liable to you where the performance of any of our obligations to you is prevented, frustrated or impeded by reason of acts of God, war and other hostilities, civil commotion, accident, strikes, lock outs, trade disputes, acts or restraints of Government, imposition or restriction of imports or exports or any other cause not within the reasonable control of Deesisions “the promotional gift company”. 2. If any part of these Terms and conditions is found to be unenforceable as a matter of law, all other parts of these terms and conditions shall not be affected and shall remain in force. 3. While we will use reasonable endeavours to verify the accuracy of any information we place on our website, we make no warranties, whether expressed or implied in relation to its accuracy. We cannot guarantee that the appearance and/or colours of products shown on this site exactly reproduce the appearance and /or colours of the physical products themselves. 4. We will not be liable, in contract, tort (including, without limitation, negligence), pre-contract or other representations (other than fraudulent or negligent misrepresentations) otherwise out of or in connection with these terms and conditions for any economic losses (including without limitation loss of revenues, profits, contracts, business or anticipated savings); or any loss of goodwill or reputation; or any special or indirect losses, suffered or incurred by that party arising out of or in connection with the provisions of any matter under these terms and conditions. 5. These terms and conditions or any contracts between us shall be governed by and constructed in accordance with English law and the English courts shall have exclusive jurisdiction over any dispute between us. We can only be responsible for reproduction of artwork supplied by the clients or produced against their written order. A paper proof must be signed before proceeding with all orders. Blocks, dies, screens and jacquards are chargeable unless otherwise agreed and remain the property of Deesisions “the promotional gift company”. You will receive a pdf proof or paper layout proof as part of our order process. This must to be checked & signed by yourselves to ensure all details are correct regardless of how the original artwork was issued to us. Please note that once this layout proof has been signed by yourselves no alterations can be made. The products will then be branded as per this proof. We DO NOT accept responsibility for incorrect artwork once you have signed it off. Whilst every effort is made to give a faithful reproduction of clients particular colours, variations in inks, foils and colours can be created by different surfaces and materials to be printed. Therefore, we cannot guarantee exact reproduction . Samples can be issued charged & will be charged at cost upon written request from the customer. This charge can then be deducted from the order value if requested in writing by the customer. With consent of the Director, samples may be issued on loan if in stock and must be returned in good condition within 14 days. An invoice will be raised after this time for any items not returned. Proof samples are labour intensive and tend to disrupt production runs. Therefore a black and white paper proof suffices in most cases to overcome doubts as to correctness and definition. Charges for proofing will be quoted upon request. 1. The prices for goods displayed for sale in our catalogue and on our site are set by Deesisions “the promotional gift company”. Delivery will be charged on an order-by-order basis, and any such additional charges are clearly displayed where they apply. Prices and delivery charges are valid and effective only for delivery to addresses in mainland United Kingdom. 2. Orders are accepted subject to our right to adjust prices in the event of any fiscal change in law or Government Regulations prior to the date of delivery or of any substantial change in the currency rate at the time of importation of goods. 4. A final invoice will be raised upon despatch of goods which may vary from that originally quoted to take into accounts any variances in amount or amendments to original order. 5. Our acceptance of your offer will create a legally binding contract between us. We reserve the right not to supply you at our discretion. 1. Our terms are strictly net 30 days from the date of invoice. No variation of these terms will be permitted unless authorised by Deesisions “the promotional gift company” in writing. All new accounts are payable on a pro-forma basis for the first two/three orders. Orders will not be despatched until payment is received. Any invoices outstanding after 30 days will attract interest and compensation pursuant to the Late Payment of Commercial Debt Regulations 2002. Ownership of the goods is not transferred until the invoice is paid in full. 1. Our delivery hours are 9am to 6pm, Monday to Friday. 2. Owing to considerable differences in weight, bulk and shapes of articles, carriage will be an extra charge to each order. This is charged at cost and is not known until the order is despatched. 3. For security reasons a signature is required to acknowledge receipt. If you know that there will be no one available to sign for your delivery, it may be best to supply an alternative address for delivery. If no one is available at the delivery address to sign for the goods, the delivery company will leave a card. You can simply call the number on the card quoting the card reference number to re-arrange delivery at a more suitable time. 6. Non-delivery of goods - Supplies are invariable bound by the Carriers terms and conditions and therefore claims for non delivery of all or part of the consignment must be notified in writing within 5 working days to enable claims to be made against the carrier. 7. Packages damaged in transit - Claims arising from damage to packages in transit must be notified forthwith. Delivery sheets relating to damaged cartons should be signed and stated accordingly. 1. Goods supplied against orders cannot be returned for any reason once they have been printed to your specification as per the signed paper proof. However, if the print is incorrect i.e. different from that of the paper proof, we will re-print the products immediately. Goods are not supplied on a sale or return basis. 2. If goods are incorrect, faulty or damaged upon delivery we will exchange the product or issue a refund of the full price (including any delivery charges). However we must be notified in writing (via e-mail, fax or post) within five working days following your acceptance of this delivery. We will arrange for the goods to be collected by our nominated delivery carrier at our own expense, and meet the cost of any subsequent delivery or replacement items. 3. Refunds will be paid via the identical method of payment used to originally purchase these goods within 30 days of receipt of the returned goods. 4. If an order is cancelled after it has been confirmed and the order acknowledgment has already been signed by the customer, the customer will be charged a ?50.00 cancellation fee and invoiced accordingly. 5. Failure of goods to comply with contract terms on grounds of quality, quantity or on grounds that the wrong goods have been supplied must be notified within 7 days. In any event within such period of times as will exclude the possibility of deterioration or damage due to unsatisfactory storage by recipients or any other cause. Call our Customer Services Team on 0151 733 1750. They will arrange for the collection of incorrect, faulty or damaged goods. Lines are open 9.00am-5.00pm weekdays. Registration is not required to browse the websites managed by Deesisions “the promotional gift company”. However, certain features offered on the websites may require you to register or submit certain personal information, such as your name, mailing and e-mail addresses, and billing information. When you register with a Deesisions “the promotional gift company” managed website you represent that you are at least 18 years of age and have the authority to register with such site. You are only permitted to download those materials specifically made available by us to download for your personal use. Any material made available for downloading i.e. PDF's by the Deesisions “the promotional gift company” managed websites may not be used for commercial or any other purpose other than your personal use and may not be copied or duplicated in any way. Please do not remove any notices or credits on the downloaded materials or delete, add, or otherwise modify the content of any such downloaded materials. Our website is a trading arm of Deesisions "the promotional gift company"